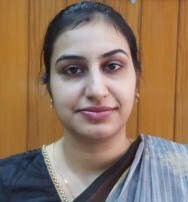 Dr. Richa Verma, I.A.S., Deputy Commissioner Hamirpur, Himachal Pradesh is an officer of the Indian Administrative Services (2012 Batch) from HP Cadre. She is a qualified Dentist. Before joining as Deputy Commissioner Hamirpur, HP, she has worked on key posts like Additional Deputy Commissioner, Kangra at Dharmshala, and Sub Divisional Magistrate (Civil) at Nahan and Dalhousie.